Skin is left beautifully hydrated and soft. Indian Rose oil is known for its exquisite fragrance and stress-relieving properties. The skin is left beautifully hydrated and soft. 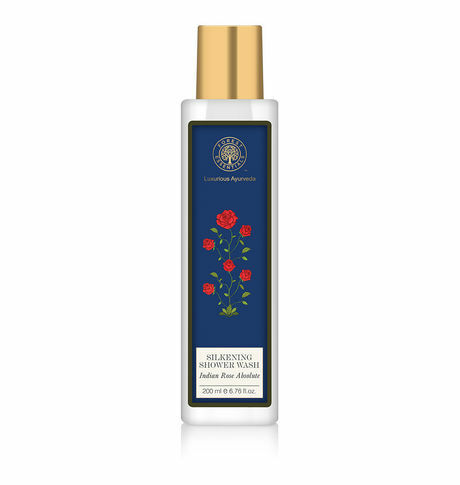 This Indian Rose Absolute Shower Wash contains carefully selected herbs, as per Ancient Ayurvedic texts. They are known for their nourishing and cleansing properties. Herbs like Genhu, Sonapatha and Bamboo gently cleanse the skin. Anti-oxidant and anti-inflammatory properties of Bala and Gokharu heal and repair the skin by preventing it from the effects of free radicals.